MiMa - Exponat IMAGINARY: die schönsten Bilder der Wanderausstellung! MiMa - Exponat Surfer: Erfinden Sie eigene Formeln, die zu Formen werden! MiMa - Exponat morenaments: Malen Sie zwei-dimensionale Kristalle! MiMa, the museum for minerals and mathematics Oberwolfach, presents two of the most unique features of the region: the scientific knowledge of the Mathematisches Forschungsinstituts Oberwolfach and the one-of-a-kind minerals of the Black Forest collected by the Vereins der Freunde von Mineralien und Bergbau Oberwolfach e.V.! (05.03.2019) Culture at the MiMa: Vietnam and Cambodia. After years of brutal wars followed by communist oppression, Vietnam and Cambodia are now experiencing a significant economic boom coupled with cultural revival. Dr. Ulrich Wieland has visited the countries in November 2017 together with his wife Dr. Annette Schoop. His multifaceted film, supplemented with numerous photos of his wife, shows cultural highlights like Ankhor Wat, grandiose landscapes like the karst mountains of Halong Bay, but also the simple lives of people in the villages and towns. A special experience during the trip was the flood in Hoi An as a result of a typhoon. The presentation on 13 March 2019 starts at 7 pm. Admission is free. (14.02.2019) There is no formula for love. 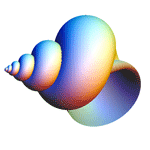 But there is a formula that produces an algebraic surface shaped like a heart. IMAGINARY provides an online tool with which you can try and change this formula. The application builds on the SURFER software, which you can use in our museum at any time, on a large screen and with many other formulas. Happy Valentine's Day! (19.09.2018) Culture at the MiMa: Barite - aspects of a grave mineral. The talk by Dr. Paul Rustemeyer is held in German and will start at 7:00 p.m., doors will open at 6:30. The event is free of charge, further information can be found on the announcing poster. (20.04.2018, updated 09.05.2018) Four excellent musicians from Lower Austria (Theresa Hajny, Kerstin Höller, Sabrina Michelfeit and Carmen Gschwandtner) play music of different times and styles. See the poster and the programme of the event for details (in German). The museum opens at 6:30 p.m., the concert starts at 7:00 p.m. The admission charge is 5 Euro. 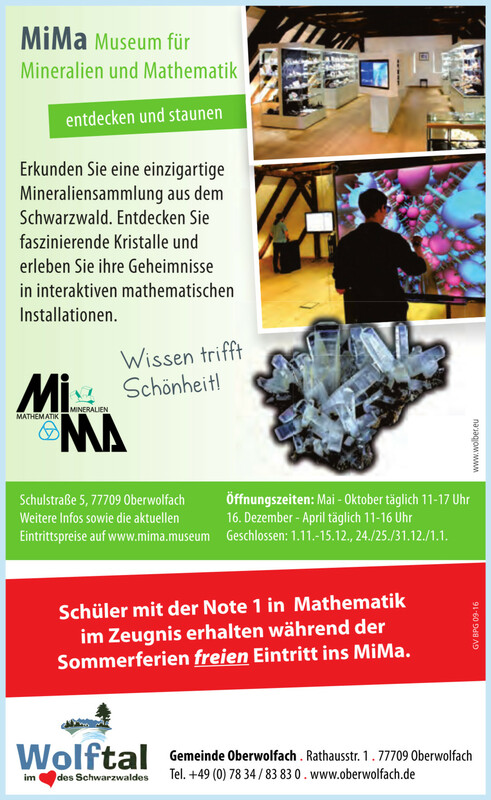 (16.12.2017) Today, the MiMa re-opens after a short break and presents many new exhibits in the mathematical section: three new touch screen stations with the best interactive exhibits of Geometry, Dynamics and Simulations! Among them the game "Match The Net", new music&maths experiments, or the winner exhibits of the international Mathematics of Planet Earth Competition 2017. Enjoy and explore! (22.08.2017) Culture at the MiMa: Gold and gold mining at the Upper Rhine: Gold is and has always been a fascinating material and also has been of interest for the people of our region. Our referee Wolfgang Kohler is an expert in his field and will inform us in his lecture, wich will be held in German, on all aspects of gold. The talk will start at 7:00pm, doors will open at 6:30. The event is free of charge, further information can be found on the announcing poster. (Addendum 04.10.2017) The gallery shows photos of the event. (24.07.2017) Summer action for pupils: Do you have an "A" in Math? Then we would like to invite you for to a free visit of the museum during the summer holidays 2017 here at Baden-Württemberg! Just bring a copy or scan of your school report along! We hope to see you there! (04.04.2017) Interactive exhibition "Renewable Energies": From 10 to 28 April 2017, visitors of the MiMa can inform themselves about renewable energies. During this period, the museum has set up a touch screen with information from the Academy for the Protection of Nature and Environment. Reduced entrance fees apply during the exhibition period. (09.09.2016) On Wednesday evening, the artist Eva Wohlleben presented her work at the MiMa. Many of her sculptures were exhibited. The visitors could not only see them but also touch them. Thus they experienced how a velocity impulse continued within the structures. Eva Wohlleben explained the special geometry of the formations. On a modeling table visitors started their own experiments. Pictures of the event can be seen in the gallery. (28.07.2016) In September pupils of the Rudolf Steiner School Birseck (Switzerland) complete a practical training in field measuring in Oberwolfach. During 10 days they survey the terrain around the MiMa and each pupil creates a map. The practical training is part of the curriculum of the 10th grade of Waldorf Schools. 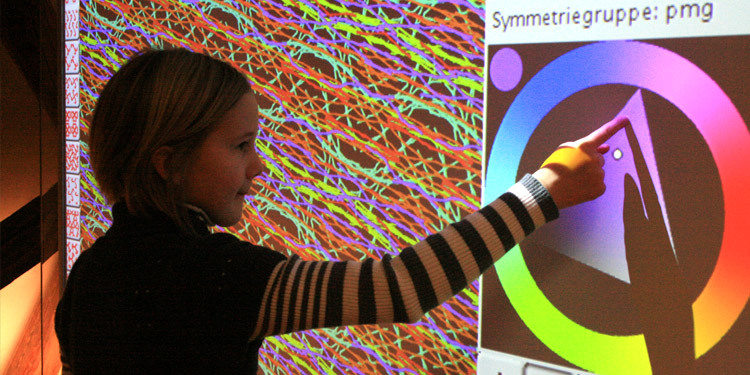 It is intended for transferring subjects of math classes into practical experiences. (06.07.2016) During August and September 2016 the MiMa opens additionally every Thursday from 20:00-23:00 o'clock. At 20:30 a guided tour will be offered by members of the minerals association and employees of the Mathematisches Forschungsinstitut Oberwolfach. (08.06.2016) Kultur im MiMa: The finite space of the museum was almost at its limit when Jeff Weeks talked about the form of the universe on friday evening. He presented all kinds of thought experiments and computer simulations to illustrate the idea of a finite universe without border: labyrinths, crossword and jigsaw puzzles on a 2-torus and 3-torus trained the imagination of the audience. Apparently the visitors had lots of fun with these experiments. Some pictures can be viewed in the gallery. (24.02.2016) On 18 February 2016 the first mathematics-mall of the world, the "Mathematikon shops" opened in Heidelberg. On an area of about 3,000 square meters there are agencies of several German retail chains. Modern mathematics is integrated into everyday shopping through paintings, sculptures, and interactive programs. The content was designed by IMAGINARY together with mathematicians from 14 countries. 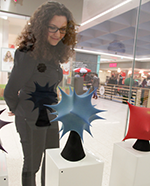 The MiMa participates in the exhibition with a loan of 10 mathematical sculptures, Platonic solids and Platonic stars which can be seen in a shop window. (02.12.2015) "Kultur im MiMa": On Wednesday, 16 December 2015, MiMa loudly announces the new season. As part of the re-opening ceremony a concert of the "Schwarzwälder Alphornbläser" (alphorn group from the Black Forest) takes place. The concert begins at 7pm. Admission is free. (24.09.2015) The MiMa has expanded its exhibition by a total of 26 new sculptures. 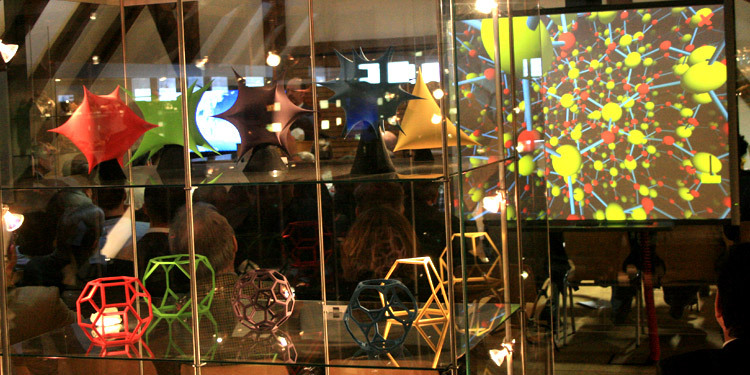 In addition to the platonic solids all archimedean and catalan solids can be seen now in the maths exhibition. 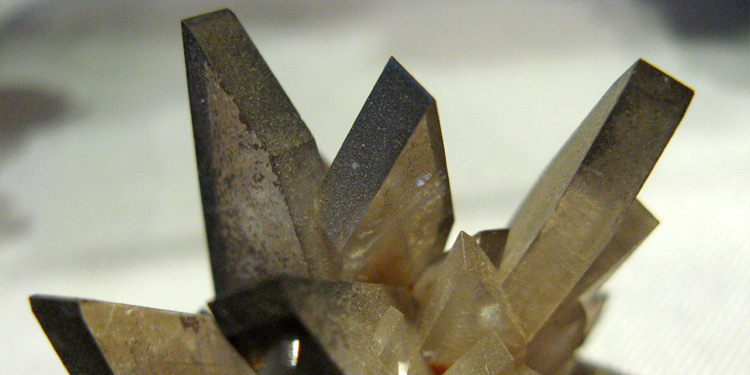 These forms play an important role in mineralogy, as many of them are typical crystal forms. 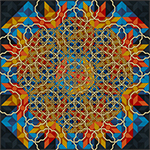 (20.07.2015) Since last Friday, 17/07/2015, the MiMa exhibits eight new images at its mathematics art gallery. At the vernissage on Friday evening the artist Uli Gaenshirt gave an introduction into the subject of his work, the quasi-crystalline structures. 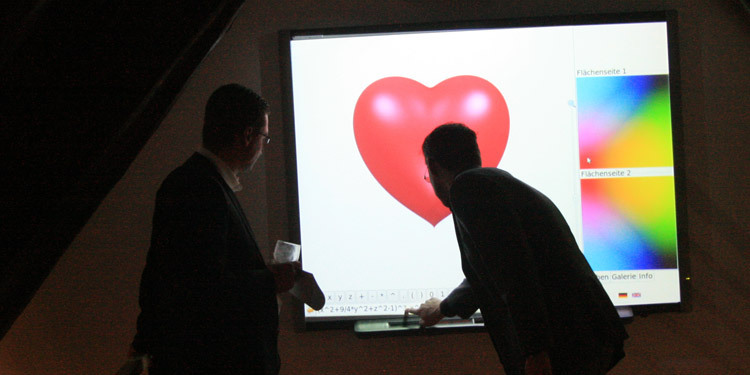 We show some impressions of the event in our gallery. (24.06.2015) "Kultur im MiMa": The MiMa shows eight pictures of the German artist Uli Gaenshirt. 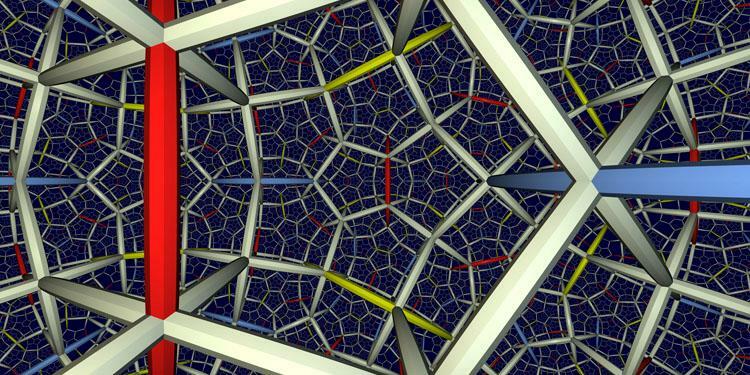 His art deals with the complex beauty of quasicrystalline structures. The opening takes place on Friday, 17th July 2015. Uli Gaenshirt will give an introduction into his work. (17.06.2015) How can mathematics help to solve problems of the planet Earth? 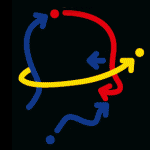 The international exhibition "Mathematics of Planet Earth" illustrates this with exhibits, visualizations and interactive programs. From 5 July to 2 August 2015 it can be visited in Heidelberg. The MiMa contributes to the exhibition with a loan of various minerals, as well as texts and images. Further information can be found on the webpage of the exhibition. (16.01.2015) The showcase for exhibitions of collections of members was restocked with metallic elements. In addition to pure gold, silver and copper, pure iron, platinum, tellurium and other elements are represented. The exhibition is located in the media room of the museum and will be shown until the end of March. (15.12.2014) Last Sunday the MiMa opened again its doors, starting with the official opening of the new exhibition "Crystalline" by Werner Kenngott. The artist from Gutach finds inspiration for his paintings in the structures of crystals. Please find photos from the opening in the gallery. The exhibition can be visited until February 28. With the reopening of the museum, the minerals are now presented in a new light: All showcases received a new interior trim and a new LED lighting. (04.12.2014) On Sunday, 14 December 2014, the museum celebrates its reopening with a vernissage of Werner Kenngott. The artist from Gutach presents his new images on crystalline structures. The vernissage starts at 11 a.m. with an introduction of Jean Philippe Naudet. Leon Marc Fehrenbacher accompanies the event with some classical music on the piano. The exhibition can be visited until 28 February. (30.10.2014) The museum is closed from November 1st to December 13th. During this time we will carry out extensive renovations. Therefore, also special tours can not be performed. Pictures of the renovation work can be found in the gallery. The re-opening will take place on Sunday, December 14th, at 11 clock with an exhibition of the artist Werner Kenngott from Gutach, with new images on crystalline structures. (02.10.2014) The 25th anniversary of the MiMa was celebrated on Sunday with numerous guests. Among others, the members of the Bundestag Kordula Kovac and Thorsten Frei and the members of the Landtag Sandra Boser and Helmut Rau congratulated Oberwolfach for its unique museum. The celebration was accompanied musically by a delegation of the traditional band Oberwolfach. Pictures of the ceremony can be found in the gallery. (17.09.2014) On Sunday, 28 September 2014, the MiMa celebrates its 25th anniversary. 1989 it began as a mining and mineral museum. 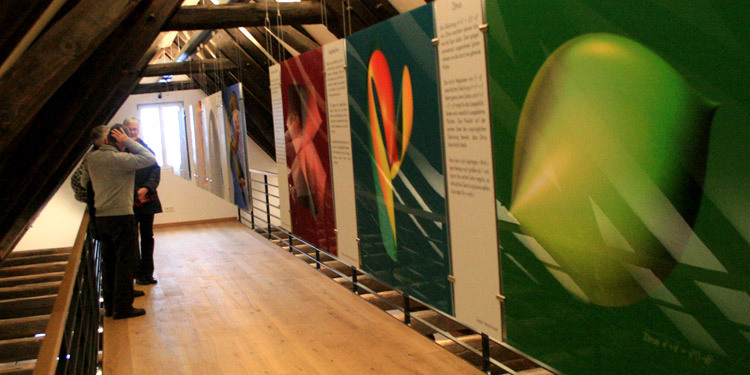 In 2010, the museum was expanded and now includes in addition to the minerals of the Black Forest interactive mathematical installations. The museum is open on Sunday from 13 clock with free admission. (06.06.2014) Kultur im MiMa: Due to popular demand, Manfred Lettau gives his special talk "On the life of a mine worker" once again. You will get insights into his education in a coal mine, mining in several foreign countries and his work as the mine foreman of the Grube Clara in Oberwolfach. The talk is taking place on 10 July 2014 at 7 p.m. More information can be found in the German Poster. (02.06.2014) New exhibits in the display case for collectors: A less acquired hobby of minerals friends is collecting pebbles. Joachim Hörth deals with this and shows some selected pieces from the Upper Rhine Rift between Weil am Rhein and Karlsruhe. The interesting exhibition may give an impulse to also address this hobby. (08.04.2014) On Easter Saturday, the Alsatian TV station France 3 reports on the MiMa in its evening news program. Under the heading "Riverains" the Mima-Museum and the minerals stockpile in Wolfach are recommended as regional sightseeings. (28.01.2014) As part of the series "Kultur im MiMa", the artist Werner Kenngott from Gutach will present a picture exhibition. Inspired by clear forms and the colourful beauty of crystals as well as the mathematical art objects presented in the museum, he transformed his impressions into large scale pictures. The opening of the exhibition will be on February 9, 2014, at 11:00 am, it will be accompanied with music by Marco Pereira. The exhibition is on display until 31.3.2014.Exhibition Poster. (04.11.2013) On the 14th of November 2013, a special talk will be given by Dietmar Kröner, University Freiburg on "Mathematics - a key technology for the future". Start at 7 pm, the museum will open at 6 pm, entry is 5 / 3 euro. Without mathematics there would be no weather forecast, no GPS, no computer tomogrophy etc. In this talk various such "daily live" examples will be given, at the end a new interactive installation will be presented. It will stay in the MiMa! More Info on the Poster. (01.11.2013) Winter break in the MiMa: From 1st of November until 15th of December the MiMa will be closed. We thank our guests for the positive feedback and the many visits until October 2013! On the 16th of December the MiMa will re-open again, the winter opening timings will be daily from 11 am to 4 pm. (20.10.2013) On October 20th, the MiMa will be open for everybody! 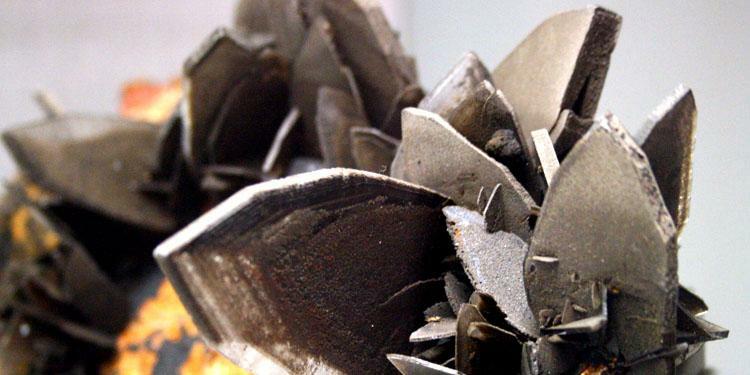 The "open day" is part of the local craftshow organized by the Gewerbeverein Oberwolfach. All visitors can enter the MiMa for free. The show will be held in the MiMa arenal, around the museum! (09.06.2013) Manfred Lettau, former mine captain at the Grube Clara, gives a special talk "On the live of a mine worker - from coal to ore" as part of the "Kultur im MiMa" series. The talk will be on June 27 at 7pm. You will get insights into the moving live of a mine worker, from his education in a coal mine to many foreign missions and being the director of the mine Grube Clara in Oberwolfach. More information can be found in the German Poster. (23.05.2013) On May 23rd, the mayor of Sainte Marie aux Mines Claude Abel and the public relation coordinator Sylvie Reeb met Herbert Schuler and Werner Günter to discuss a future collaboration between the MiMa and the second biggest minerals fair in Europe, which is held at Sainte Marie aux Mines. The fair will take place from June 27 to 30 and attracts more than 30.000 visitors every year. (28.03.2013) On April 4 at 7pm, the mathematician Dr. Andreas Matt talks about „Human vs. Robots - how machines can learn". How can machines, like robots or computers, learn? Which mathematical models exist and can machines learn faster and better than humans? On the example of a simple and interactive robot simulation, Matt shows the learn model "reinforcement learning". This talk is part of the "Kultur im MiMa" series. (25.03.2013) Easter special at the MiMa! Again this year the employees of the MiMa museum prepared something special: visitors can enter the competition to look for easter eggs in the form of stones in the museum. Everybody can search these eggs, hidden in the whole museum. If you find all - or most - of them you will get a special Easter surprise! (25.10.2012) The successful series "Kultur im MiMa" will be continued with a concert by the chamber music ensemble Ortenau! On the 23th of November at 7:30 pm they will play trios and duos from Baroque, Classic, Romantic and Modern Times. The museum opens for this event already at 18:30. More info here (in German). (25.01.2012) On the 28th of January at 8 pm the MiMa, museum for minerals and matehematics, hosts two outstanding musicians: the guitarrists Marco Pereira and Thomas Hafen. After a succesful start of the duo three years ago in the Kreuzsattelhütte, they are back at the MiMa to present their songs. Thomas Hinke from Stuttgart will join them as a special guests with playful improvisations. More info here (in German). 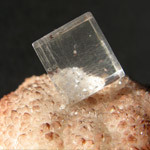 (13.01.2012) The "MiMa - Museum for Minerals und Mathematics" in Oberwolfach will be presented as a sightseeing recommendation in the SWR4 Radio Südbaden, in the morning programme "Frühmagazin" on the 26th of January, 2012. At the same time more information and pictures can be found at the SWR4-Südbaden web page. We are happy to receive all visitors hearing from us through this programme! (12.09.2011) The Verein der Freunde von Mineralien und Bergbau Oberwolfach e.V. 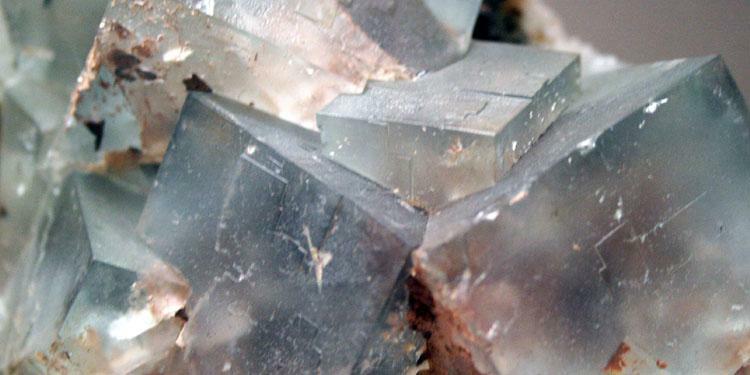 could acquire the complete collection of minerals by late mountaineer Albert Müller. He was working at the mine “Grube Clara” from January 1, 1957 and collected an amazing collection of minerals until his retirement. Some of the minerals are exposed in a special vitrine in the media room of the MiMa museum, we show you here some samples of Fluorite and Baryt minerals. (05.09.2011) We are pleased to invite you to a special MiMa event: Paul Hildebrandt, the inventor of Zometool and a group of about 20 persons will construct the model of an “exploded stellated hyperdodecahedron”. The model has a size of about 1 m and will be a gift to the MiMa. About half of the group is formed by gifted pupils from the local secondary school. More details here. (27.07.2011) The next event of the "Kultur im MiMa" series will be on the 27th of July 2011. Prof. Stephan Klaus will give a presentation on "Symmetry and Beauty in Nature and Mathematics". Many objects in nature feature regularities that we appreciate as beautiful. Just think of snow flakes, snail shells or crystals. And also in art beauty is connected to regularity, for example at the Arabesques of the Alhambra. 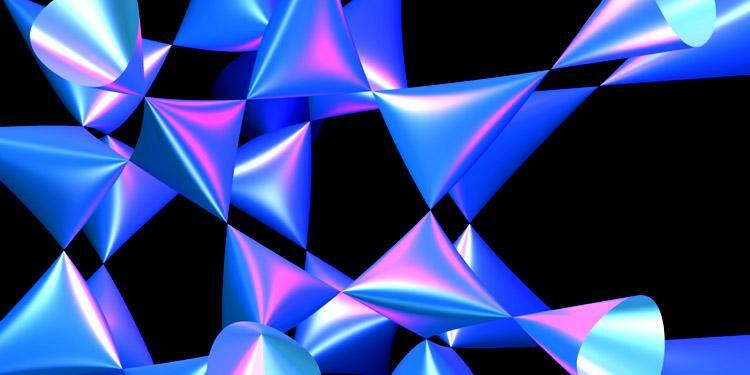 But, can a mathematical formula be beautiful? Venue: MiMa, Admission: 18.00 hs, Entry: 5 Euro / 3 Euro. More information in the flyer. (23.06.2011) The MiMa will be part of the Science Days in the Europapark, Rust from 13th to 15th of October. 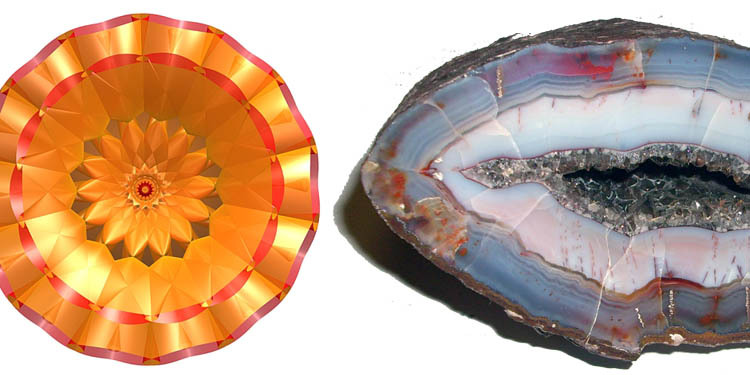 What do minerals and mathematics have in common? 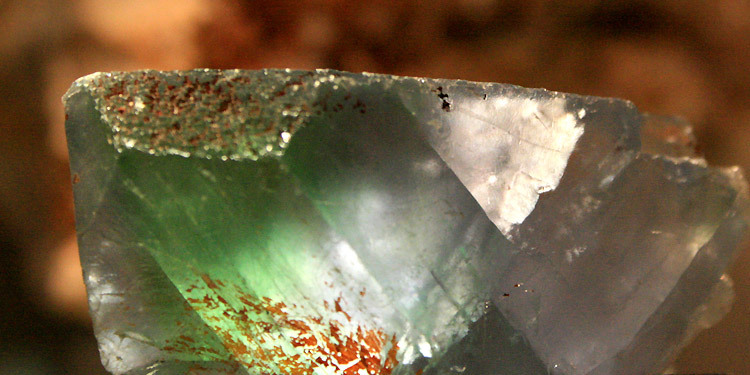 Where do minerals come from and what is their purpose? 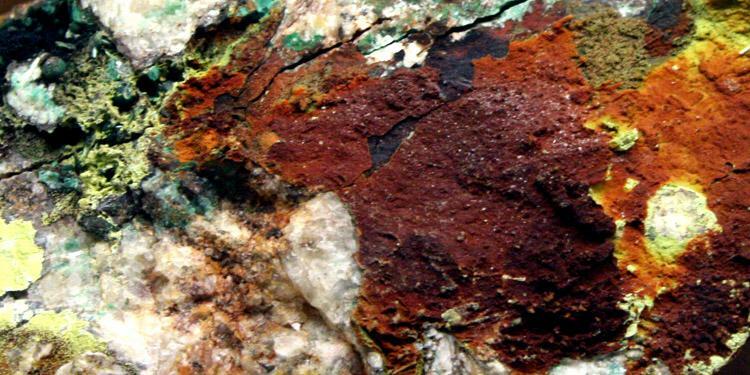 How do we gain mineral resources? How does a mine work? How do I know which forms are connected to which formulas? 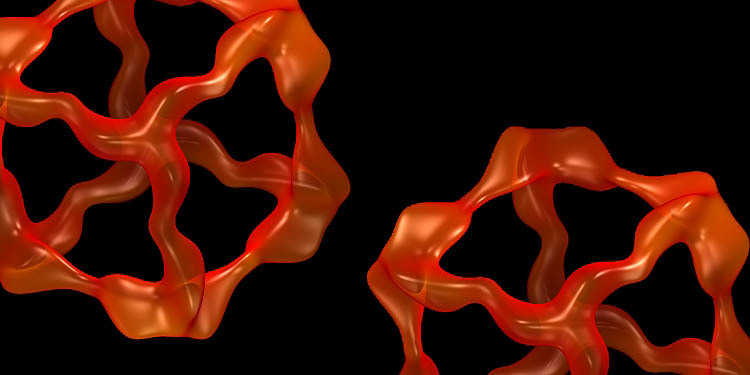 How do soap bubbles relate to the fourth dimension? Answers and more questions can be found at the MiMa stall, on all three days from 9 am to 5 pm. (29.05.2011) On the 29th of May a special guitarre concert was organized at the MiMa museum: Marco Pereira and his students played Englisch and German folk songs. Additionally to this concert we offered all guests the opportunity to get to know our unique museum! Pictures of the concert can be found in our events gallery. (04.05.2011) Jupi at the MiMA! The project around the toy animal Jupi - just visiting Earth from Jupiter - deals with interesting people, projects and institutions working in social fields. JUPI came to see the MiMa on a trip trhough the German black forest. More details can be found on the web site I am Jupi. (12.02.2011) Science reporter Christoph Pöppe of the magazine "Spektrum der Wissenschaft" visits the MiMa Museum. As a mathematician himself he writes about the unique connection of minerals and mathematics and his experience while visiting the MiMa. The full article can be found here (German). (24.12.2010) The MiMa team wishes you Merry Christmas and a Happy New Year 2011! The snowy Christmas picture is created by Valentina Galata (former school student at Otto-Hahn-Gymnasium in Saarbrücken) with the programme SURFER. It is a visualization of formulas only! You can download more algebraic Christmas pictures here or visit the MiMa to create and print your own mathematical pictures! (15.12.2010) The MiMa receives the Architecture Award 2010 - New Constructions in the Black Forest! The sound reconstruction of the historical farmhouse for a public use was especially praised. The constructor and planner have put a special focus on functional design, an energy and ressource friendly concept, a novel use of technology and the visibility of the old construction heritage. More information in German can be found here. (01.11.2010) Winter break in the MiMa: From 1st of November until 15th of December the MiMa will be closed. We thank our guests for the positive feedback and the many visits in our first months! After 1st of December the MiMa will re-open again, the winter opening timings will be daily from 11 am to 4 pm. (19.10.2010) On the 6th and 10th of October 2010 a team of the SWR TV station visited the MiMa. Reporter Thomas Klinghammer came to Oberwolfach, among others also to the Mathematisches Forschungsinstitut Oberwolfach. Klinghammer loved the MiMa and its vast collection of minerals from the black forest. Board member of the Minerals Association Werner Günter handed over a Baryt mineral to Mr. Klinghammer. The TV reports are on air from 25th to 30th of October 2010 in the SWR Landesschau Baden-Württemberg. (18.08.2010) Today, the mayor of Banjul, the capital of the state of Gambia, and his wife visited the MiMa. The deputy mayor of Oberwolfach, Erna Armbruster, and local reporters joined the visit and the guided tour through the minerals and mathematics sections of the museum. Please find pictures of this special visit in our gallery. (14.08.2010) On August 12th four children reporters visited the MiMa. They were equipped with cameras and notebooks to report in detail on the museum. An article on their impressions will be published in the coming days in the Schwarzwälder Bote. We are curious about their findings, what they liked most and what suggestions they have for the museum! Please find pictures of this visit in our gallery. (31.05.2010) The outside facilities of the MiMa museum were inaugurated on the 28th of May. A highlight was the handing over of the wooden benches, sponsored and installed by all crafstmen involved in the building and installation of the museum. To complete the set an additional minerals "knock"-box will be added for children. (06.05.2010) The MiMa is now member of the Upper Rhine Museums-Pass, your ticket for over 190 museums, castles, parks and gardens in Germany, France and Switzerland. The Museums-Pass gives free access to the permanent and temporary exhibitions of all member museums for a whole year. More information can be found here. (05.05.2010) The English version of the MiMa website is online! Feel free to explore it and come back soon, since we are constantly updating content, pictures and the interactive applets.